Fabrication Mascotte Sur Mesure Qualité. Mascotte Qualité. (Foam and Fabric) and Inflatable Custom Made Mascots Manufacturing. Custom Foam/Fabric Mascot Manufacture vs Custom Inflatable Mascot Manufacture. 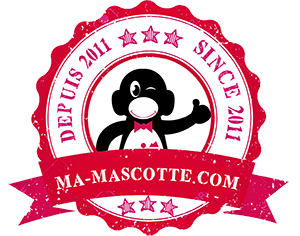 At Ma Mascotte, we provide manufacturing and custom mascot creation of professional quality for all your events and entertainment. We manufacture two types of custom mascot costumes: custom mascots called “classics”: made with different types of fabrics and foams. Inflatable mascots: inflatable suit auto-self ventilated and powered by a battery. A graphic design will be carried out before any manufacturing mascot. Both types of mascots are “mobile”: a person must be inside and can move. These advertsing mascots or marketing mascots are made for entertainment purposes or promotions. The custom mascot costume “classic” is made using different types of foam and fabric materials (fur, plush, fleece…). This is the type of mascot the most common. An inflatable mascot is a self-ventilated suit powered by an independent blower. The person inside the mascot can move. What are the differences ? How to choose ? No worries, we explain the main advantages and disadvantages of the classic mascots and inflatable mascots. Discover our comparison online. How to get a quotation / order ? To get a quotation and place an order, thank you to contact us by email or via the contact form stating your request. WARNING : In order to quickly process your request, thank you to provide us the following information: quantity, time and all the specifics you want.